Madagascar should adopt detailed legislation on the use of force and firearms by the national police and gendarmerie that complies with international law. International law restricts use to where it is necessary to confront an imminent threat of death or serious injury or a grave and proximate threat to life. The right of all persons to life is protected by the Law. No one may be arbitrarily deprived of life. Death is not considered as inflicted in violation of this Article in the cases where it would result from recourse to the force rendered absolutely necessary in the defence of persons against illegal violence.Art. 8, 2010 Constitution of Madagascar. No one may be submitted to torture or to cruel, inhuman, or degrading punishment or treatment.Art. 8, 2010 Constitution of Madagascar. Police use of force is regulated by a 2012 Code of Conduct. 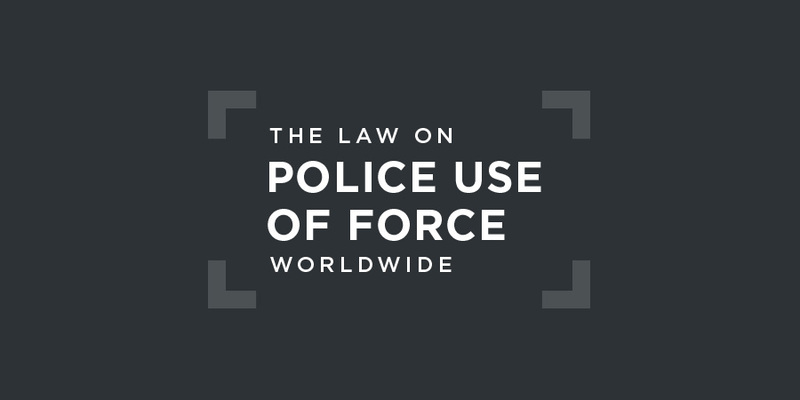 According to the Code, force may only be used when strictly necessary and for a legitimate law enforcement purpose. When force is indeed necessary, a police officer must not cause serious pain or suffering or inflict cruel, inhuman, or degrading treatment on any person.Art. 38, 2012 Code of Conduct. With respect to use of firearms, the police must comply with "laws and regulations in force" and only use a firearm when it is "strictly necessary and proportionate" to do so.Art. 40, 2012 Code of Conduct.Intentional lethal use of firearms is prohibited.Art. 40, 2012 Code of Conduct.National legislation should set out a prohibition on police use of firearms purely to protect property. They should only be used where strictly necessary against persons who pose an imminent threat to life or of serious injury or a grave and proximate threat to life. Currently, there is no specific external police oversight body in Madagascar. The Constitution provided for an "independent agency" to promote and protect human rights, but a decision by the National Assembly in 1994 resulted in the role being assigned to a national Ombudsman. This office is responsible for informing citizens about their human rights and submitting annual reports about how those are being respected by police and other government agencies, but it has been criticised for relying on moral persuasion rather than concrete action.African Policing Civilian Oversight Forum, An Audit of Police Oversight in Africa, 2008, Entry on Madagascar, p. 41.
by allegations that persons are subjected to acts of torture and inhuman or degrading treatment during arrest and police custody. In this connection, it remains concerned by the lack of data on investigations, prosecutions and convictions in cases of torture and ill-treatment....Human Rights Committee, Concluding Observations on Madagascar, UN doc. CCPR/C/MDG/CO/4, 22 August 2017, §29. The African Court on Human and Peoples' Rights does not have jurisdiction to hear human rights cases pertaining to Madagascar, including with respect to the use of force by the Madagascan police. The government did not always prosecute or punish officials who committed abuses, whether in the security forces or elsewhere in the government, and impunity remained a problem.